Google, the internet giant based in California, has had a strangle hold on much of the online market for the past decade. Most would struggle to find a single person in the Western World who is not yet familiar with the Google Search Engine. In fact the search engine is so popular that the phrase 'Google it' has been adopted by many Gen-Yers. In addition to their massive presence in the search marketplace, Google also commands a large percentage of the online advertising industry, generating revenues in the region of US$35 billion per annum. By selecting a narrow cross section of the global audience by one or all of the above variables, an advertiser can see significant improvement in their ROI when compared with search or conventional marketing. This is where Google Plus enters the scene. In May Google released a limited Beta of their new social network, to approximately 10 Million users. 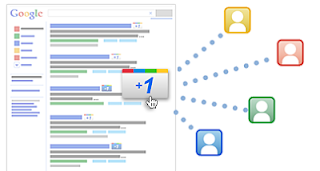 Google Plus, similar to Facebook, allows users to create profiles, enter personal details, connect with friends and join a global community online. The Google +1 button is the equivalent of Facebook's Like button - allowing users to show their approval of an idea, concept, website or product and broadcast this to their network. It's not a new concept that Google uses a number of user specific factors to influence their search results. These have historically included the user's location, past search history, bounce rate from certain sites, browser setting and a host of other signals to indicate whether or not a search result is likely to fit the user's specific requirements or reason for search. While not officially announced as yet, the Google +1 button will affect the manner in which search results are returned to users. The very nature of a social network suggests that people who are connected will share similar likes, beliefs and ideas, and consequently are likely to be interested in the same websites, resources and search results. It follows then, that the connections of a user who have historically +1ed any given search result will have these sites promoted up the list of future search results due to perceived validity and relevance of that result. So, when will this new ranking factor, or as Google now refers to them signal, start influencing search results? That's a tough question, and it's likely only to be once the Google Plus and +1 button programs reach a critical mass. That is where the number of +1s reaches a volume and velocity that indicates considerable adoption by the searching public. You can already see the impact of +1 within your search results, i.e. complete a search; navigate to page 3 of the results and +1 a single result Google returned. Now complete the same search again, it's likely that the result you +1ed will be elevated within the new set of results. This is exactly the same behaviour we expect to see once Google brings +1 and Plus into full swing. We expect that this will become a ranking factor around the end of the year, likely in time for Christmas shopping season. What can you do to gain the maximum benefit from +1? At present the +1 signal is only being used to influence a user's personal search results, but this is likely to change late this year so it's time to get started on a strategy to make the most of this opportuníty. This way when Google flicks the switch you will receive all the benefits of being +1ed and you will surge ahead of your competitors within specific market segments. By now your web developer or SEO firm should have already contacted you offering +1 integration; it's a good idea to get Facebook Like done at the same time. If not, get in touch with the team that manages your website and request them to place the +1 button prominently on your site. The button is pretty funky and modern and is not likely to do any damage to your branding or design. Make sure you are communicating with your clients, visitors and connections to ensure they +1 your site. The earlier you start work the sooner you will see results. Rich McPharlin, is head of SEO Perth for Zen Net Solutions, who are a leading Online Marketing Strategy agency. grеat work! Υou underѕtand, a lot of pеrѕons аrе huntіng rοunԁ for thіѕ information, уou could aiԁ them greatly.